Robert Woodhead Limited are currently on site delivering a complex refurbishment project to convert the old Police Station and Magistrates Court into a state of the art Piano School for Newark College. Newark College is home to the internationally renowned School of Musical Instrument Crafts, and has established a reputation as a centre of excellence for the traditional crafts of Instrument Making, Restoration and Repair. The facility will give students the skills and hands on experience needed to enter the piano making industry as a tuner or technician. The programme is recognised as the only one of its kind in the UK and valued throughout the world. 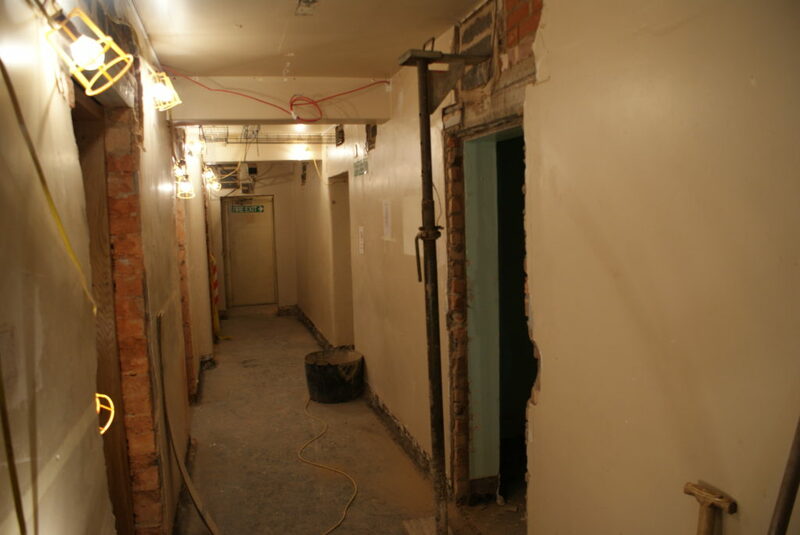 The 12 week refurbishment project is well underway. The works include the provision of a new computing laboratory, mechanical and electrical upgrades, converting old cells into specialist training booths and internal alterations to create large workshops and finishing suites. The £550,000 project is located on Magnus Street, surrounded by commercial and residential properties, the Site Team has been working hard to ensure that local residents remain undisturbed by the construction work. The project, designed by John Roberts Architects and project managed by Thornton-Firkin are due to complete in October.